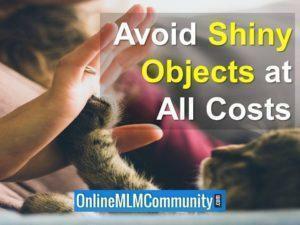 Today’s post is about starting over in MLM. During a team event this past weekend in Orlando, Florida, I did a training on what I would do differently this time around if I was starting over in MLM. Due to the popularity of the class I gave, I figured I would share some of my notes on this website to help my readers achieve success in their business. What you will see below are 20 things I would do differently if I was starting over in MLM today, knowing what I know right now. Lesson Learned: I would join the right MLM Company at the right time, before it was a household name and hit momentum and critical mass, but AFTER it had been in business a few years. You want to be a in a company BEFORE the whole world knows about it. Established, older network marketing companies are solid, but harder to grow because everyone has preconceived notions about the company. Ground floor opportunities are very risky. You want a company that is at least a few years old, and has worked out most of its kinks, but hasn’t hit massive growth yet. The big money is always made by the people who get in EARLY and do the work. Lesson Learned: I would not be tempted by promises of fast or easy money or something for nothing. I would put on my blinders and focus ONLY on the company I am building. The average person gets pitched (or exposed) at least 10-50 times per day on new DEALS. Do not get the “junkie” mentality like a crack addict, always looking for your next fix. The lust phase never lasts in relationships, life or business. Successful people stick with one thing until successful. No business is fast, free or easy. All businesses take time, money and hard work to succeed. Lesson Learned: I would take my business much more seriously, much sooner. I would act as if I had ONE-MILLION DOLLARS invested in my business and I had one year to earn it back. Most people do not treat their business seriously, because they do not have much money invested. It’s easy to put your business on the back burner and let life get in the way when you only have $50 to $500 invested. Do not think of this as a hobby or little part-time thing; think of it as a Fortune 100 company. Non-committed people attract non-committed people and serious people attract serious people. Even if you are part-time, have a full-time attitude. Act as if you just bought a multi-million dollar McDonald’s franchise. Lesson Learned: I would master the basic skills of prospecting, inviting, presenting, closing, retailing, recruiting, training and leadership quickly. I would be a student of my profession and learn everything I could about it, as quickly as possible. 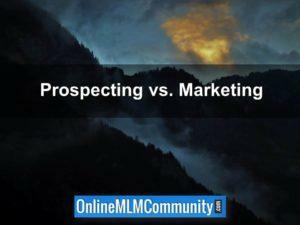 All professions require a certain skill-set to be successful, MLM is no different. The best way to learn the skills is by doing; get in the trenches and stay there. You can study something until the cows come home, but until you go out and do it, you won’t learn much. Your first year in the business is MLM University; give yourself time to learn and master the basic skills. The beauty of our industry is you can earn while you learn. Lesson Learned: I would never let a month go by where I did not personally recruit at least 2-4 new reps. Most top earners who have recruited hundreds of people in their career have simply recruited 2-4 new people every month over a sustained period of time. New blood is the lifeblood of your business. As a leader, you must set the pace and keep recruiting; never stop your personal recruiting, ever. New recruits will solve most of your business problems. If your business is stagnant, go out and build five new legs quickly. Lesson Learned: I would look for better quality prospects. Instead of looking for broke, down and out folks, I would focus on recruiting leaders and doers: people with credibility, contacts and a large sphere of influence. People who are successful in their career typically do well in our industry. You want a team of people sharper than you. Who would you pick if you were looking for a CEO for a $100 million company your family owned? Quality people typically lead to more quality people. A few quality people can earn you six figures in this industry. Lesson Learned: I would focus much more attention on building depth than building width. I would spend more time helping people in my team recruit than just me personally recruiting. Width is for show, depth is for dough. Work at the deepest level in your organization with the newest, most excited distributor. The deeper you go, the more stable your check and business is. The only way to permanently motivate people is to give them something to lose by building depth. Most top earners make 90% or more of their income from just 1-3 legs. Lesson Learned: I would think bigger much sooner. Instead of thinking small and worrying about today’s money problems, I would think much bigger and take the long-term view with my business. Spend time with successful reps who think big and avoid the people who are negative and complaining. Don’t let today’s problems prevent you from long-term success in life and business. Make sure that every decision you make about the business is based off what’s best for the long-term health of your business. You’ll overestimate what you can do in a couple of years and underestimate what you can do in five years. Get rid of the Instant Gratification mentality that most people have. Get rid of your self-limiting beliefs. Lesson Learned: I would have written goals for my business and life. Write down your why and what you want from your business and read it daily. Create a dream board or vision board. Write down your 1 year goals for your business. Set monthly goals for your business. Set weekly goals for your business. Set 1-3 daily goals to keep you on track. Keep track of your progress each month so you can see how much you have grown. Without written goals you are planning to fail. Lesson Learned: I would create a work schedule for my business, just like I have with my job. We are all creatures of habit; our habits determine our success, or lack of it. At your job, you have a work schedule and if you don’t work you don’t get paid. You need to set business hours and know exactly what you are going to do each day to grow your business. Plan out your week every Sunday night, determine what days you will work your business, at what times and what you will do during your work hours. Lesson Learned: I would approach 10-20 people per day about my products and business, at least six days per week. We get paid to talk to people; if your mouth is closed your business is closed. You need to have a few ways to get leads so you always have people to contact. Talk to some people make some money, talk to a lot of people and make a lot of money. 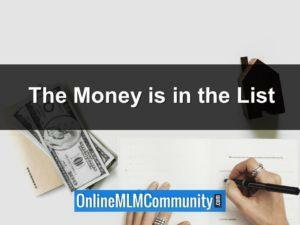 The top earners simply approach more people and get more Nos. Yes is the destination, NO is how you get there. 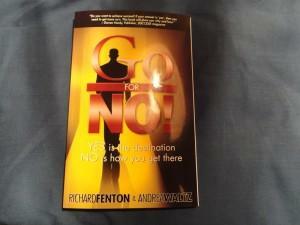 Go for No! Lesson Learned: I would choose a mentor, humble myself, and do what they teach. Don’t reinvent the wheel; find someone who has achieve the level of success you want and do what they did. All successful people have mentors. Pick a mentor in your UPLINE because they have a vested interest in helping you succeed. You must be a good apprentice before you can become proficient at what you do, and then become a leader. You must learn to follow before you can lead. A good mentor can help you become successful much quicker than trying to figure out everything on your own. Lesson Learned: I would work harder on myself than I did on my business. This industry is a personal development course with a compensation plan attached to it. Your business will only grow as much as you do. Set aside time and money for daily personal development. Enroll in automobile university, read books, listen to CDs and videos, talk with your mentor, etc. Become an avid reader, even if you don’t enjoy it. Lesson Learned: I would do SOMETHING to grow my business each and every single day, no matter what, no excuses. I would never start and stop, start and stop. Stopping and starting is the kiss of death in your business. The people who succeed in this industry are the people who show up day in and day out over a sustained period of time. Success is about doing a certain few things over and over and over. Everything you say, think and do is either moving you closer to your goals or further from them. How much money would you make if you owned a restaurant, but it was only open a few hours per week? Lesson Learned: I would not be a lone wolf and try to do everything by myself. I would stay plugged in with my ACTIVE upline at all times and learn from them, rather than trying to reinvent the wheel. Network marketing is a team sport, do not be an island. Surround yourself with other movers and shakers and be a sponge; learn everything you can from them. You are a reflection of the FIVE people you spend most of your time with. I would talk with my serious team members and upline every single day. Lesson Learned: I would focus on ONE opportunity exclusively, instead of trying to create multiple streams of income. Do not promote multiple deals at once. Do not keep switching companies. Don’t get lured away by the multiple streams of income myth. Pick one thing and stick with it until you succeed. Could you imagine an Olympian training for 2-3 sports at the same time? Could you imagine being married to 2-3 people at the same time? Focus is essential to succeed at anything in life. Lesson Learned: I would attend all events, no matter what. Either you need the event or the event needs you. 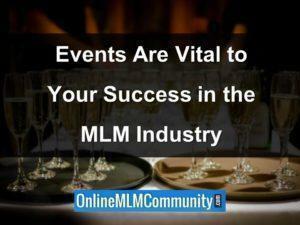 Events are where people make the decision to build a big business. Learn new skills, meet new people, have fun and build your belief in the business. We are an event driven business. Even if you don’t think YOU need the event, most of your team members do. Attend all company events and a few generic ones too. Lesson Learned: I would develop an inner circle (mastermind) of 3-5 serious people who are as committed and serious as I am. Two to five people working toward a common goal is much more powerful than just one person working by themselves. Mastermind with your upline, you and a few serious people on your team. Encourage each other, hold each other accountable and be supportive. Lesson Learned: I would study marketing and become a master at generating leads, both online and offline. The person who can get the most leads wins. Marketing principles apply to MLM, just like every other business. It’s much easier to sponsor someone when they call you first. There are thousands of ways to do marketing and lead generation; pick what works best for you. Read marketing books, attend marketing events, etc. Study DIRECT RESPONSE MARKETING (Dan Kennedy). Lesson Learned: Your most valuable asset is your list. Keep track of EVERY person you ever talk to about your products or business, even if they tell you no. Keep track of every person who ever joins your team. Maintain a names database, keep it updated and stay in touch with people. If you talk to five people a day for a year, that is 1,825 names in your database in just one year. Do that for 5-years and you have almost 10,000 names. Stay in touch with EVERY person in your database at least once every 90 days. Many people who tell you NO today will eventually tell you YES if you stay in touch and are a professional (no hype or pressure). There you have it folks. These are 20 things I would do differently if I was starting over in MLM, knowing what I know now. What is your favorite lesson? What you would do differently if you were starting over in MLM? Leave a comment below to let me know what you think. I look forward to hearing from you. Next Next post: Herbalife Leads: Should You Buy Them or Generate Your Own?